Setting up DNS MX records for a Google Apps account is possible via cPanel so you can easily access and manage your emails. Scroll down to the 'Email' section and choose 'MX Entry'. Select your domain from the 'Domain' dropdown menu. 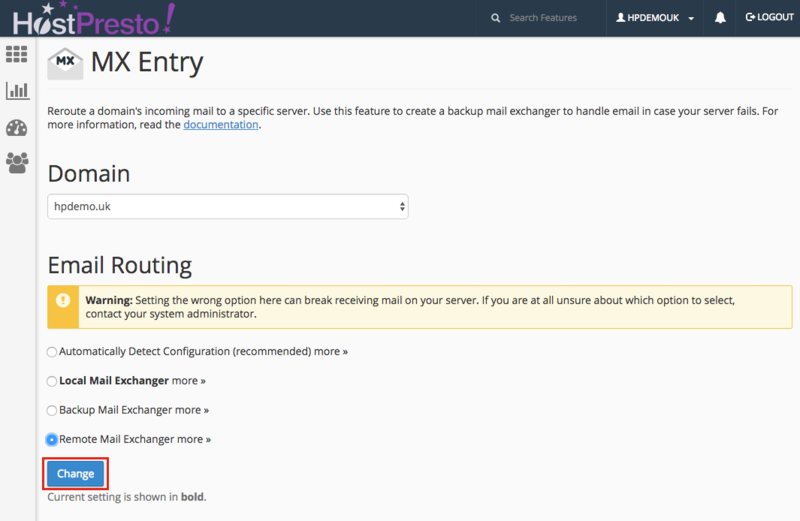 From the 'Email Routing' options, choose 'Remote Mail Exchanger'. Complete the email routing change by selecting 'Change'. Next, scroll down to the 'Add New Record' section. Enter the primary email server in the 'Destination' box. At the time of writing this article, the recommended Google Apps server was 'smtp-relay.gmail.com'. However, please refer to the Google Apps settings documentation for up to date information in case this has since changed. Enter the 'Priority for the MX Record. MX records with a lower number have higher priority than MX records with a higher number. 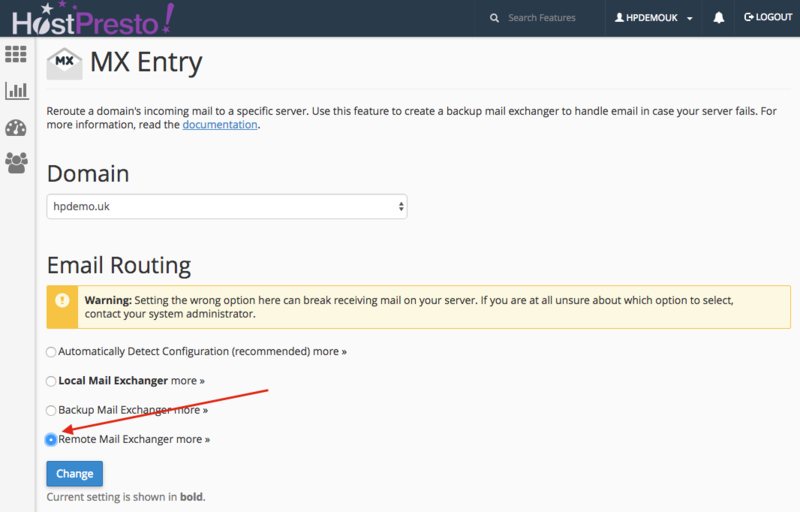 To use the new email server as the primary server, give it the lowest possible priority number (0). Click 'Add New Record' to complete adding the MX entry record. To add additional Google Apps MX records, repeat the add MX process again and give backup servers a lower priority than the primary email server.